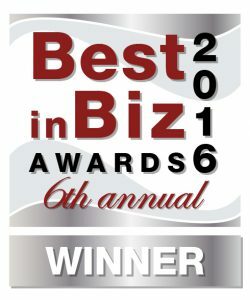 RICHMOND, Va. – December 12, 2016 – Compare.com has been named a silver winner in Consumer Service of the Year in Best in Biz Awards, the only independent business awards program judged by members of the press and industry analysts. Compare.com is the leading car insurance comparison company in the United States, with over 100 insurance brands integrated on their website. Earlier this year, Compare.com also announced that they are now offering auto and home bundled policies on their site in four states, with plans to expand over the next year. Compare.com makes shopping for car insurance easy. Users may fill out their information once and receive multiple, customized rates back from leading insurers. The rates returned are locked-in and may be purchased directly through the insurance provider.